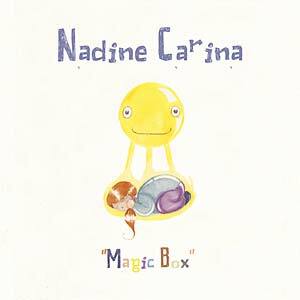 This is the debut full-length album from Nadine Carina. Born in 1986, Carina grew up in a little village called Maggia, in the Italian part of Switzerland. She always showed a great passion for music; always ready to sing at her village's parties and regularly exploring her father's vinyl collection. She started to play piano at a very young age and was a member of the Philharmonic Band of Ticino, playing clarinet. The guitar came later, when rock bands like The Who and Genesis began to influence her musical background more and more. After moving to Geneva, she attended a music and technologies school (ETM), where she started to write her own songs inspired by songwriters like Shannon Wright, Julie Doiron and Alessi's Ark. Learning music technology, she began to arrange her songs programming with MIDI, using effects pedals and loopers. She made two homemade EPs and her song "Like Her" played on a Swiss-Italian TV channel from a solo performance video in her father's kitchen. In 2010 she decided to move to Liverpool, England, where she took music and sound technology courses at the Liverpool Institute of Performing Arts. Inspired by the Liverpool music scene, Nadine started getting gigs in bars and venues, performing her songs, sometimes solo, sometimes with a band. Her debut LP Magic Box is a collection of songs written over the past 2 years. Lots of "dreamed" material and technological tinkerings show the magic of this work, which hides deep and meaningful messages. Being her first album, it has this kind of proximity with the artist that you can only find on early works. You can almost listen to her taking a deep breath before pressing "record" on her little 4-track. Nadine draws you into 13 quiet, melancholic moments, sometimes minimalistic (alone with her guitar) and sometimes more adventurous (deep programmed arrangements), but always with the aim to keep you in a kind of comfortable woolly bubble. 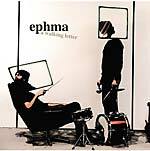 In two words, this album is spontaneous and fragile.